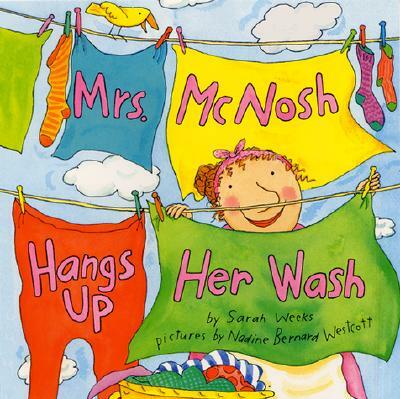 Each Monday at dawn, Mrs. Nelly McNosh brings out a barrel and does a big wash.
Mrs. McNosh's wash is certainly big—and definitely wacky. You'll be surprised to see what is hanging on her clothesline by the end of the day! Sarah Weeks's hilarious tale, complemented by Nadine Bernard Westcott's lighthearted illustrations, is perfect for reading aloud.